Last week, a few of us travelled up to the NEC, Birmingham for the Education Show. 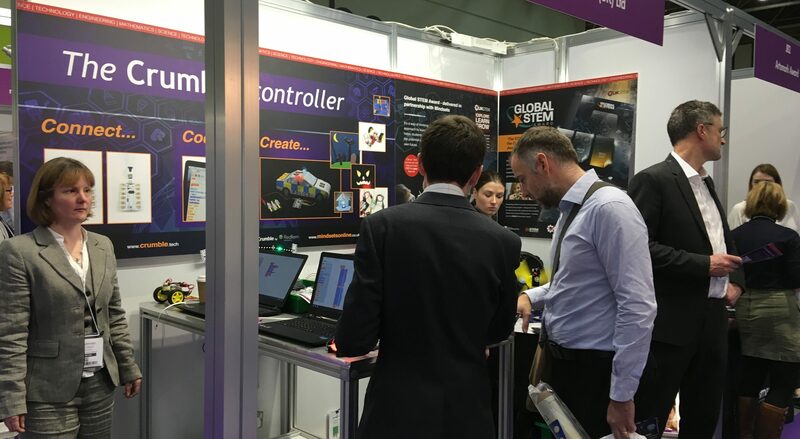 We were there mainly to exhibit the Crumble Controller as the show tends to be geared towards Primary and Home Educators – and the Crumble is perfect for Primary Computing and Design and Technology. Loads of people had a go with the Crumble and there was a real excitement surrounding the stand. 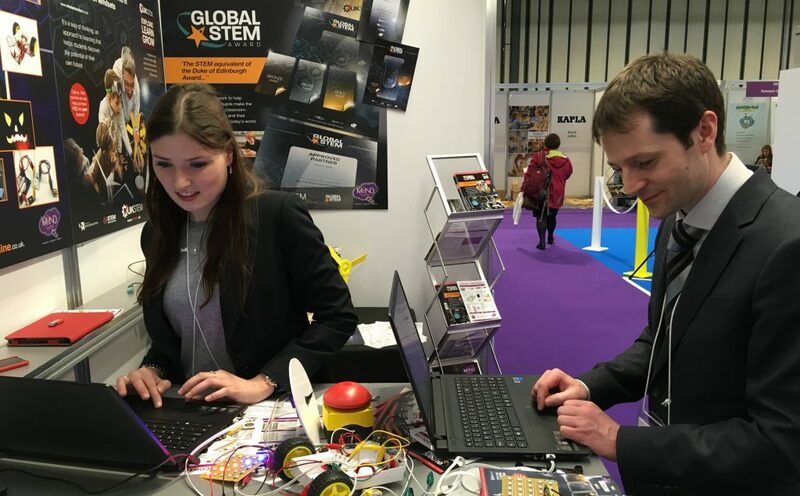 We were sharing our stand with Mike and Beckie from UK STEM – they were launching their fantastic new initiative called ‘The Global Stem Award’ which you can find out about here. When the show had quietened down, we even found time to set each other some Crumble challenges! We thoroughly enjoyed our time at the show and it was great to meet so many new and familiar people, all of whom share our excitement and passion for education. We look forward to the next one.